Blogging for your business can be part of an effective marketing strategy. It can help you gain more traffic, and increase the number of pages that search engines index. But if you start a blog, do you need to create long-form content? How many words do you have to write in order to be successful? What’s the best length for your business blog? The WPamplify team explores blog post length and its significance on SEO below. Why does Blog Post Length Matter? The length of your blog posts seems to play a role in how high you may rank in the search engine results. A recent study by Brian Dean showed that the average first-page result on Google contains 1,890 words. While there are many factors that are considered when ranking search results, it seems to reason that a longer blog post can result in higher rankings. Search engines display what they think is the most relevant content based off of your search term. They want facts, substance and interesting content from publishers, and they want them from the experts in whatever the topic is. These components tend to naturally be within longer posts. By displaying to its users this type of information, Google and other search engines enhance the overall user experience. Longer content tends to gain more backlinks, according to HubSpot. This is because people find long-form content to be more comprehensive and complete than short content. It can answer questions or provide insight on a given topic. Plus, it stands out and it makes you look more like an expert in your field. long-form content can also get you more social shares. Quicksprout’s Neil Patel researched how many social shares he earns with content that was more than 1,500 words and compared it to content shorter than 1,500 words. He concluded that a post that was greater than 1,500 words received 68.1% more tweets and 22.6% more Facebook likes. This is likely because the people who backlink to you think the same thing that social media users do. Your content is valuable and interesting enough to be shared. We’ve given you plenty of numbers. Here’s one more. To go along with the Brian Dean study, another study was done by Orbit Media, with 1,000 bloggers. The average length of a blog post came to 1,142 words. While longer might seem better, a 2,000-word article won’t guarantee you the top spot on the first page. What’s the Best Length For Blog Post? You will find several answers from different reputable voices. While some people say it’s well over 1,000 words, others say it can be as little as 300-600 words. The best answer is that it really depends on the keywords you’re targeting, the type of content, and your focus on providing the most useful and interesting content. There are a number of things to consider. But keep in mind that your goal should be to produce the most useful content, and answer the users’ questions. Consider the keywords you’re targeting. If someone searches for “iPhone XS screen size” then you’re not going to need a 1,500-word article. Some long-form content is unnecessary. Also, take into consideration the type and quality of content. If your marketing strategy involves creating infographics or recording videos and podcasts, then you won’t need to write enough for the perfect length. A summary of what the user is about to read, watch, or listen to will suffice. To sum up, if your blog content is high quality and serves a purpose to the user, then the length of your blog post won’t be as significant. 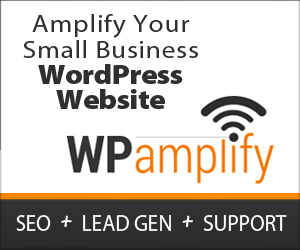 Contact WPamplify to discuss your blogging strategy. We can help determine whether or not long-form content for your business blog is right for you. Depending on your goals, we can implement a plan that fits best.